St Mark James First Aid Services in Kelowna, B.C. First Aid Services in Kelowna, B.C. First established in 2009, Kelowna First Aid has remained the leader in cardiopulmonary resuscitation (CPR) and first aid training in British Columbia. Enrolment is pretty quick and easy through the registration form below. E-mails, telephone calls, and walk-ins during business hours are also encouraged by the staff. With flexible schedules and cheap rates, choose Kelowna First Aid and enrol today! Visit the Kelowna First Aid website here . To sign up for a class with this St Mark James training affiliate scroll to the bottom of the page for our on-line registration form or contact this provider using the following information. This provider is located near the city centre of Kelowna with free parking available. Plenty of nearby restaurants are available as well as great access to public transit. 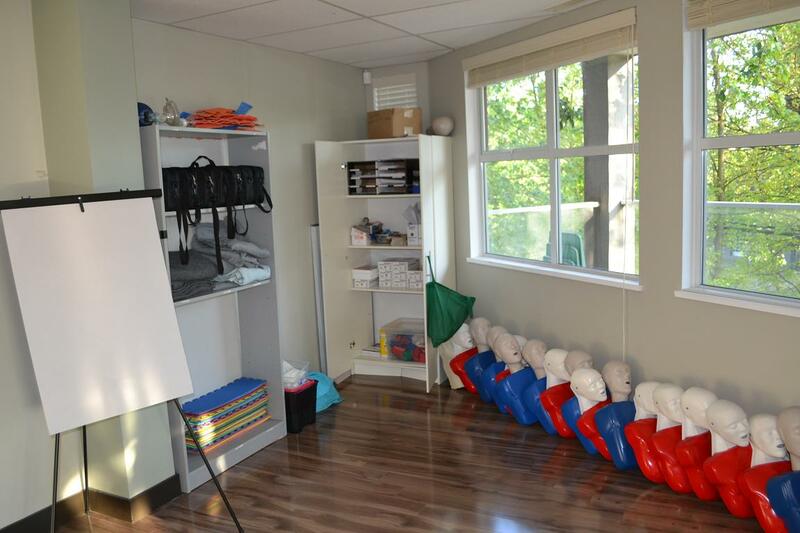 This provider prides itself on offering the best prices on workplace and academic approved first aid and CPR training. Prices include tax, St Mark James manuals and all certification fees. Kelowna First Aid offers the cheapest rates for all St Mark James certification programs. Rates are paid during enrolment and are inclusive of taxes, certification fees, and training manuals. Trainees who drop out and give a 72-hour notice beforehand are entitled to a full refund of the enrolment fee. Full courses on cardiopulmonary resuscitation (CPR) have three levels: “A”, “C”, and “HCP”. All levels correspond to a particular St Mark James training certificate and include first aid and automated external defibrillation (AED) training. AEDs are machines that are attached to the chest with pads and apply shock to the heart. Trainees who want to enrol in either CPR/AED or first aid but not both can opt for stand-alone classes. Kelowna First Aid also offers private instructors for at-home training. If you want to book an instructor for special events such as company events, you may do so as well! Certification is given after the completion of a training program. The certificate has to be re-certified / renewed within three years through refresher programs. Kelowna First Aid holds refresher programs twice a week. All classes are taught by St Mark James certified instructors in high-end training facilities throughout British Columbia. Common signs and symptoms of a stroke are sudden numbness and/or weakness of the face, arm, leg, especially localized on one side of the body, sudden confusion, trouble speaking or understanding, vision problems with one or both eyes, trouble walking and balancing, dizziness, and severe headache.